When I was a little boy growing up in Pittsburgh, hundreds of miles from the ocean, the only sharks I ever saw were at the aquarium or on my TV. These early images helped inspire me to become a shark biologist. I’ve now interacted with thousands of sharks up close, including a face-to-face with a 12-foot sand tiger shark that formed the basis of my college admission essay. Today, I’m just as excited as I was when I was a little boy about the now 26-year-old Shark Week, the Discovery Channel’s weeklong collection of shark documentaries. I never miss it. And yet, as a shark biologist and conservationist, I have mixed feelings about Shark Week. Like many in the marine conservation community, I’m troubled by the tone of Shark Week documentaries in recent years. A great deal of them are about so-called “shark attacks,” a focus that perpetuates public fear and misunderstanding about sharks. A brief glance at Shark Week 2013 promises more of the same, with titles like I Escaped Jaws, Great White Serial Killer, and Sharkpocalypse. More disturbing than the shark attack focus, Shark Week 2013 started with a special about the megalodon shark. These animals, basically 50-foot-long great white sharks, are indeed fascinating (and a little terrifying), but they are extinct. Rather than focusing on amazing things we actually know about this animal, the show used CGI, doctored photos, and actors playing scientists to create a faux controversy over whether the megalodon is actually extinct. If such a show had aired on the SyFy channel, it would have been entertaining. That it airs on the Discovery Channel, which bills itself as the world’s premier nonfiction science education television network, is a problem, particularly in the wake of Animal Planet’s “mermaids” documentaries. Surely sharks are interesting enough that we can make entertaining television about them without blurring the line between fact and fiction—or flat-out lying to the viewers? The hyperbole and misinformation have led many in the conservation community to boycott Shark Week, refusing to watch altogether. I have a different view. For all its many faults, Shark Week does do something really important: It gets people talking about (and interested in) sharks. Aquariums, zoos, and science museums all over the country host educational events associated with Shark Week, and the media drastically increases coverage of shark topics all week. According to Upwell, an NGO that runs social media analytics on ocean topics, Shark Week drives the single greatest increase in Twitter conversations about any marine science or conservation issue of the year. Instead of boycotting, I try to take advantage of the increase in public interest to get some important science and conservation education into the discussion. There are lots of fascinating and important things about sharks that I’d love for people to know, even if most of them don’t ever show up in Shark Week specials. Here are three of the most important facts about sharks that you won’t see on a show called Sharkpocalypse, but are much more relevant than watching more footage of jagged teeth moving through bloody water. The author with a lemon shark in Everglades National Park in Florida. “Shark attacks,” the bread and butter of Shark Week, are extremely rare. According to the International Shark Attack File, approximately 650,000 Americans die each year from heart disease, and an average of less than one is killed by a shark. If you’re reading this in the United States, you’re almost a million times more likely to die from a heart attack than a “shark attack.” An incomplete list of things we aren’t afraid of that kill more people than sharks each year includes vending machines, lawnmowers, toasters, flowerpots, and dogs. Going to the beach is a relatively dangerous activity, since you have to drive there (often on the highway), dozens of people drown each year, and skin cancer is always a threat. But sharks are the least of your beach-outing worries. You may have heard that “the only good shark is a dead shark,” but the reality is that our ecosystem needs a healthy population of sharks. Like all predators, sharks help keep the food chain in balance. The loss of sharks can result in what’s called “predation release” in their prey, leading to unhealthy increases in prey population. Sharks are also important because of “indirect effects,” also known as “fear ecology.” Prey animals may choose to avoid areas of their habitat entirely because of the presence of predators like sharks. Without sharks, fear effects can disappear. Unafraid, the prey, often herbivores, are emboldened to graze in more areas, which can alter the ecosystem itself. 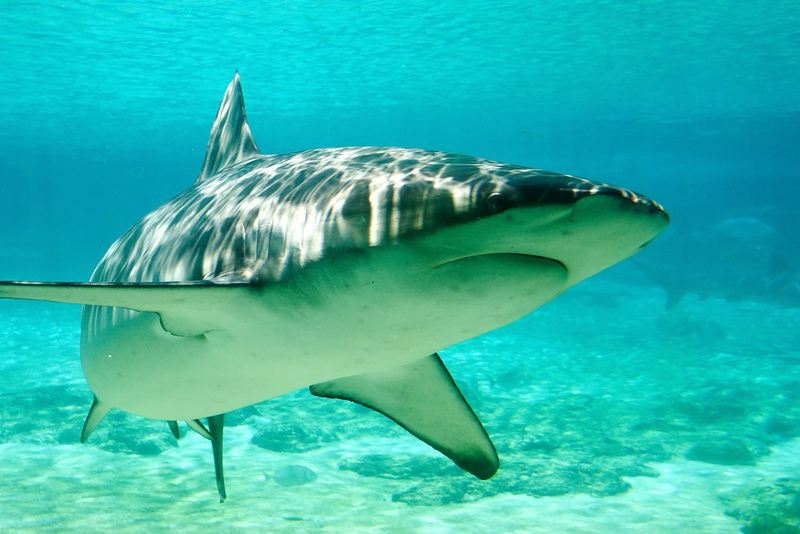 Under certain conditions, sharks can even benefit the financial ecosystem. In many parts of the world, SCUBA ecotourism makes sharks more valuable alive than dead. The third important thing to know about sharks is that, owing to decades of overfishing, populations of many shark species have rapidly declined. Scientists have documented declines in excess of 90 percent in some populations since the 1970s, and one in six known species of sharks (and their relatives skates, rays, and chimeras) are considered “Threatened with Extinction” by the International Union for Conservation of Nature Red List. The ecological importance of sharks, and the severity of their population decline, means shark conservation may be the gravest environmental challenge no one is talking about. Shark Week presents a distorted view of sharks, but gives the marine science and conservation community a huge opportunity to inject such facts into the conversation it generates. I remain frustrated by the programs airing on Shark Week this year yet cautiously optimistic about the future, and I’m watching and doing my best to educate the public through my blog, Facebook page, and Twitter account. And, while I watch the sensationalized dramatizations of shark bites, I’ll be keeping a nervous eye on real threats to my wellbeing—like my toaster. 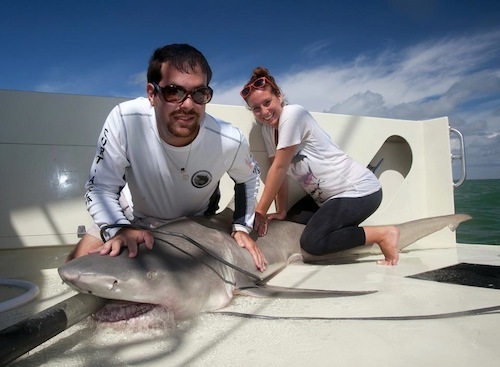 David Shiffman is a Ph.D. student researching shark ecology and conservation at the University of Miami’s Abess Center for Ecosystem Science and Policy. His lab, the RJ Dunlap Marine Conservation Program at the University of Miami, takes classes and community groups out into the field to learn about and interact with sharks. Follow David on Twitter @WhySharksMatter or on Facebook. Primary Editor: Kathryn Bowers. Secondary Editor: Andrés Martinez. *Photo courtesy of Steve Garner.